Welcome to Parallel and Distributed Storage Systems Lab! 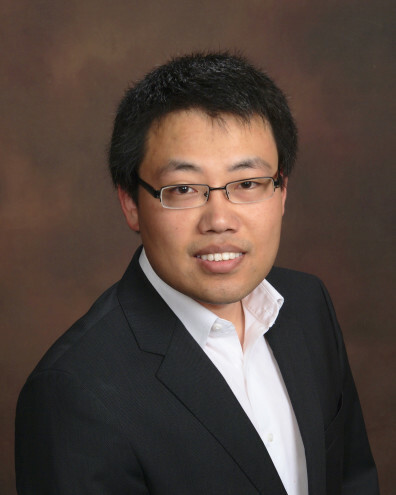 There are TA openings in Dr. Zhang’s group. Interested students shall contact him by emailing their CVs and Tofel/GRE scores. Suman Karki, Bao Nguyen, Joshua Feener, Kei Davis, and Xuechen Zhang, “Enforcing End-to-end I/O Policies for Scientific Workflows using Software-Defined Storage Resource Enclaves”, IEEE Transactions on Multi-Scale Computing Systems (TMSCS),Volume 4, Issue 4, October-December 2018. Bao Nguyen, Hua Tan, Kei Davis, and Xuechen Zhang, “Persistent Octrees for Parallel Mesh Refinement Through Non-Volatile Byte-Addressable Memory”, IEEE Transactions on Parallel and Distributed Systems (TPDS), Volume 30, Issue 3, March 2019. Soklong Lim, Jun Hao, Zaixin Lu, Xuechen Zhang, and Zhao Zhang, “Approximating the k-Minimum Distance Rumor Source Detection in Online Social Networks”, In Proceedings of the 27th International Conference on Computer Communications and Networks (ICCCN’18), Hangzhou, China, July 2018. Suman Karki, Bao Nguyen, and Xuechen Zhang, “QoS Support for Scientific Workflows using Software-Defined Storage Resource Enclaves”, 32th IEEE International Parallel & Distributed Processing Symposium (IPDPS’18), Vancouver, BC, Canada, May 2018. Jian Huang, Michael R. Allen-Bond, and Xuechen Zhang, “Semantic-Aware Checking for Finding Deep Bugs in Fast Path”, Proceedings of 22nd International Conference on Architectural Support for Programming Languages and Operating Systems (ASPLOS’17), Xi’an, China, 2017. Xuechen Zhang, Ujjwal Khanal, Xinghui Zhao and Stephen Ficklin, “Understanding Software Platforms for In-memory Scientific Data Analysis: A Case Study of the Spark System”. The 22nd IEEE International Conference on Parallel and Distributed Systems (ICPADS’16), Wuhan, China, 2016. Jian Huang, Xuechen Zhang, and Karsten Schwan, “Understanding Issue Correlations: A Case Study of the Hadoop System”, The ACM Symposium on Cloud Computing 2015 (SOCC’15), Kohala Cost, HI, August 2015. Jian Huang, Xuechen Zhang, Greg Eisenhauer, Karsten Schwan, Matthew Wolf, Stephane Ethier, and Scott Klasky, ”Scibox: Online Sharing of Scientific Data via the Cloud”, 28th IEEE International Parallel & Distributed Processing Symposium (IPDPS’14), Tucson, AZ, May 2014. Xuechen Zhang, Ke Liu, Kei Davis, and Song Jiang, “iBridge: Improving Unaligned Parallel File Access with Solid-State Drives”, 27th IEEE International Parallel & Distributed Processing Symposium (IPDPS’13), Boston, MA, May 2013. Ajay Gulati, Ganesha Shanmuganathan, Xuechen Zhang, and Peter Varman, ”Demand Based Hierarchical QoS Using Storage Resource Pools”, USENIX Annual Technical Conference (ATC’12), Boston, MA, June 2012. Xuechen Zhang, Kei Davis, and Song Jiang, “QoS Support for End Users of I/O-intensive Applications using Shared Storage Systems”, ACM/IEEE International Conference for High Performance Computing, Networking, Storage and Analysis (SC’11), Seattle, WA, November 2011. Xuechen Zhang, Kei Davis, and Song Jiang, ”IOrchestrator: Improving the Performance of Multi-node I/O Systems via Inter-Server Coordination”, ACM/IEEE International Conference for High Performance Computing, Networking, Storage and Analysis (SC’10), New Orleans, LA, November 2010.